Guests sailing with Celebrity Cruises can now indulge in the culinary world’s finest delicacy, white truffles. Last night, the premium cruise brand acquired two of the world’s rarest mushrooms at the World White Truffle Auction in Grinzane Cavour, Italy. Passionate about providing vacationers with the finest dining experiences at sea, Celebrity traveled to Italy’s gastronomic region of Piedmont to procure the white truffles – known as “the diamond of the kitchen.” Weighing a total of 700 grams, these elusive gems will be showcased at exclusive dining events unique to Celebrity. The white truffle, an extremely rare and luxury commodity, is almost solely found in the Piedmont region of Italy. Truffle connoisseurs from around the world can only hunt for this delicacy for a few months of the year, making the truffle season one of the most highly anticipated events of the culinary calendar. 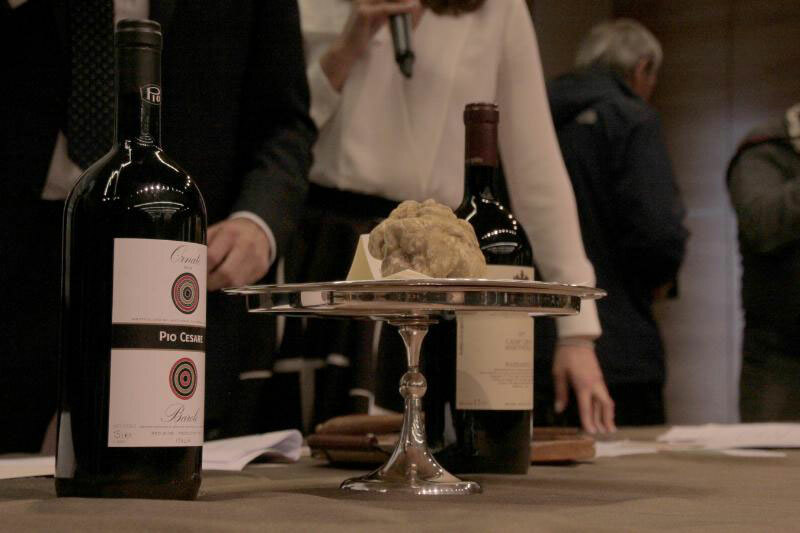 The World White Truffle Auction, held at the 14th-century Castle of Grinzane Cavour, is an internationally recognized event, with previous satellite locations in Hong Kong, Moscow, London and Tokyo. All proceeds from the auction benefit charity. Celebrity Cruises Executive Chef, John Suley, participated in the invitation-only event to represent the premium cruise brand among the culinary elite. A James Beard-featured chef, Suley, and his culinary team present guests with award-winning dining onboard 11 modern, luxurious Celebrity ships. Chef Suley and his team will use the highly coveted truffles acquired at the auction to create an exclusive dining experience onboard Celebrity Equinox during a 10-night Caribbean cruise departing on Friday, Nov. 21 fromFort Lauderdale, Fla. Truffle-themed dinners will be available onboard Celebrity ships for select Caribbean sailings in late November and early December. Plus, the winning delicacies will also be featured at the James Beard Foundation’s legendary James Beard House in New York on Monday, Nov. 24, for a special truffle-and-wine-pairing event. “Our guests can enjoy a once-in-a-lifetime dining experience with our decadent white truffle menu, paired with exquisite fine wines. We will be creating beautiful, yet simple, mouthwatering dishes, from wild mushroom risotto with delicately thin slices of the prized truffles, to indulgent desserts topped with white chocolate and truffle Chantilly cream,” Suley said. Celebrity is dedicated to delivering gastronomic distinction by mastering the perfect marriage of flavors and artful presentation when creating fresh, innovative cuisine in distinctive restaurants across its fleet of ships.